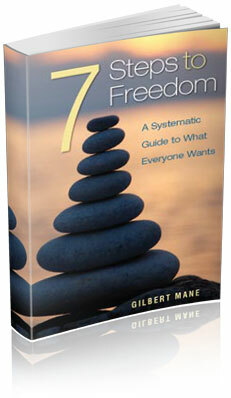 7 Steps to Freedom is a comprehensive and entertaining synthesis of modern and ancient wisdom from East and West. In this inspiring book, using personal anecdotes, simple practical tips and clear explanations, Gilbert S Mane draws on decades of experience of work on self-awareness and self-development to set out a systematic guide to finding freedom and happiness. I’m on to my eleventh reading of 7 Steps. Each time I discover new things that are truly life changing. How Noble in Reason is a compact summary of a large topic. How can we cover a complex curriculum, and also educate children in good character, values and virtue? 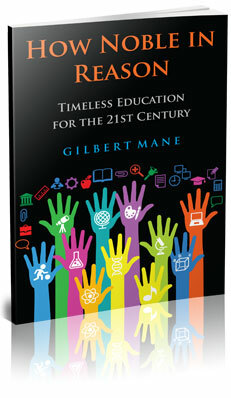 In a witty and insightful survey, drawing on a broad range of sources , Gilbert S Mane sets out the simple and practical idea that children have a spiritual and an emotional dimension. Addressing this in our schools will naturally broaden education to include a rich cultural curriculum, and pathways to self-knowledge and inner peace and freedom.